From her humble beginnings to her prolific solo career (not to mention a diverse array of collaborations), Julie Doiron's music is woven into the fabric of Canadian culture. For more than 25 years the singer, songwriter and multi-instrumentalist has chronicled love, loss and motherhood across a wide range of projects and styles, always with an evocative, plainspoken lyrical style that's intimate and, at times, heartbreaking. Her latest project, Julie and the Wrong Guys, brings Doiron back to her roots in a rock band. This time, however, she's leading the charge, backed by Eamon McGrath and Cancer Bats' members Mike Peters and Jaye R. Schwarzer on the group's self-titled debut album. With her career coming full-circle, we decided to look back at Doiron's long and winding career. Below is Exclaim! 's Essential Guide to the multifaceted career of Julie Doiron. There are many who would list this among the best Canadian albums of all time, and they wouldn't be wrong. The proper debut from the beloved Moncton quartet famously details the disillusion of Doiron's relationship with singer-guitarist Rick White in all its messy glory. It remains a high watermark in Canadian indie, and was many people's first introduction to Doiron's soft voice. But, though she certainly made significant contributions as both player and songwriter, Doiron was one part of a larger whole here. Doiron's music has always been roots-adjacent; her subject matter and instrumentation generally conforms to what fans of folk-leaning music would look for, even if it lacks that certain twang that pushes a project into that arbitrary world. But this team-up with Attack in Black's Daniel Romano (who had yet to make his transition from grizzled punk to bedazzled country) and former Shotgun & Jaybird bandmate Frederick Squire saw Doiron embrace folk and country like never before, the trio's voices soaring over each composition. Daniel, Fred & Julie is a singular work in her long career. There are albums in Doiron's discography that rock harder or sway gentler, but none of them mix her many sides together the way So Many Days does. 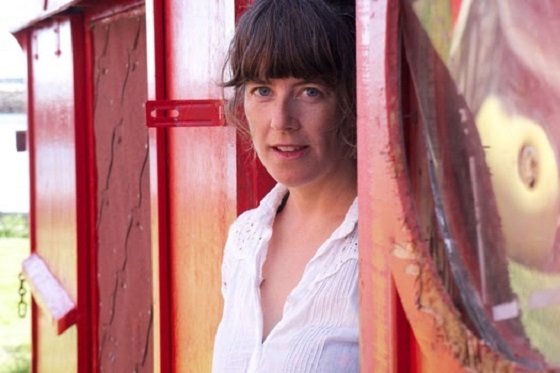 Capturing Doiron during a period of geographical flux — songs were written in Toronto, Montreal and Sackville, all of which she's called home at one time or another — it collects Doiron's many musical sides in one place. Though it's not her best album, So Many Days is a perfect introduction to Doiron's various musical guises. After nearly a decade of sparse but beautiful releases, Doiron surprised everyone with this appropriately titled release. Rick White produced the record, and the two reteamed with former Eric Trip bandmates Mark Gaudet and Chris Thompson on several tracks, giving fans a taste of what new Eric's Trip material might sound like (spoiler alert: pretty damn good). The result was a stunning album that balanced Doiron's noisier tendencies with her knack for catchy yet delicate arrangements — and earned her a 2007 Polaris Music Prize shortlisting. Where previous albums had hinted at her larger ambitions, Julie Doiron and the Wooden Stars laid bare the multitudes at work in her music. Balancing quiet introspection with full-band arrangements and (relatively) hi-fidelity, it was rightfully lauded at the time of its release, and won a profile-boosting Juno Award. It's lost none of its lustre in the ensuing 18 years (a short reunion and vinyl reissue have helped keep it in the Canadian musical consciousness), and remains a warm hug from an era when indie rock was still a haven for plainspoken musical outsiders. Doiron's two non-English language recordings, 2001's Désormais and Canta en Español Vol. II, are fine releases, but by design are lyrically impenetrable to those not fluent — even if Doiron's supple voice and melodies sell her compositions to Anglo listeners. All of Eric Trip's output was lo-fi, but their earliest records, self-released on cassette tape, push the form to the limits. There's plenty to recommend on those early releases — many of which were handily compiled in 1997 as Long Days Ride 'Till Tomorrow — but they served as incubators for the band's later brilliance, and are thus better suited for advanced Eric's Trip listening than an introduction to Doiron. Finally, many fans were introduced to Doiron via the Tragically Hip; frontman Gord Downie is famously a fan. They invited Eric's Trip on their "Another Roadside Attraction" tour, and Downie even referenced Love Tara on "Put It Off." Doiron sings on Music @ Work and several of Downie's solo albums, all worth checking out for their own merits. But, Doiron's contributions aren't significant enough to qualify as starting points to her larger body of work. In case it wasn't already abundantly clear, there are many shades to Doiron's music. So while some releases lend themselves to newbs, others, while just as rewarding, are nevertheless dependent on a more bought-in fandom. But while Doiron's early solo releases are sparse affairs, and most of the songs on 1997's Loneliest in the Morning and 2002's Heart and Crime are little more than Doiron's soft voice and guitar, they're fascinating and delicately beautiful. On the flipside, Doiron seemed to rediscover her indie rock past in the mid-aughts, releasing a series of buzzy records that featured her typically stripped down confessionals paired with more fleet-footed full band affairs. Fans of Woke Myself Up would be advised to check out its surprisingly cheery followup, 2009's I Can Wonder What You Did with Your Day. While Love Tara is widely considered their crowning achievement, Eric's Trip's subsequent records (1994's Forever Again and 1996's Purple Blue) are nearly as good — though again, these are full-band affairs in which Doiron's voice was just one of many. Doiron played a similar role in Shotgun & Jaybird, featuring Frederick Squire and Shotgun Jimmie, joining the band around 2005 and playing on their underrated 2006 swansong Trying to Get Somewhere. ​Members of Dog Day and Eric's Trip Join Forces in Diamondtown, Premiere New Song "December"